Quick links are the quickest way to link or repair chain. 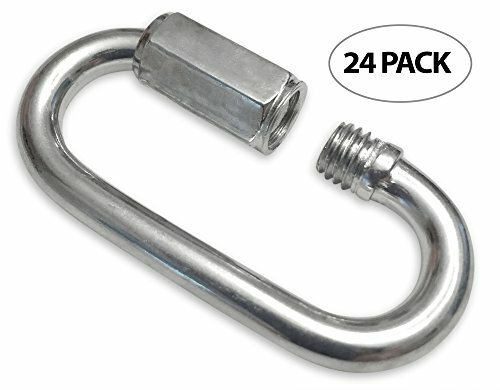 Can be used in endless applications including lifting and rigging, hanging signs and banners, holding cables or leashes, supporting slings, hanging shelves, hanging swings and hammocks, securing or hanging gym equipment, hanging baskets, a multitude of boating, camping and various sports and recreational applications. ***NOTE: Match working load limit to the WLL of the chain you will be using. NOT to be used for overhead lifting. Inside length 1.16", inside width .325", maximum opening .21"
If you have any questions about this product by Yardware etcetera, contact us by completing and submitting the form below. If you are looking for a specif part number, please include it with your message.